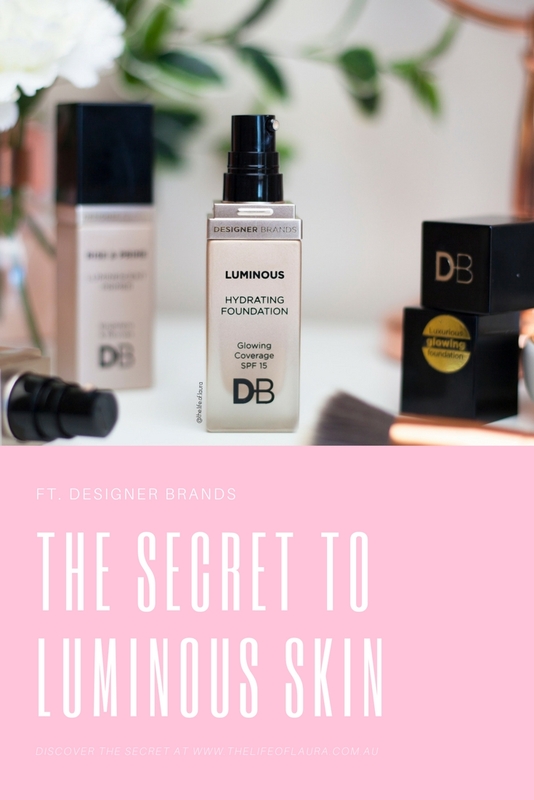 Designer Brands has just released a new primer and foundation to give your skin luminous perfection. Now if you haven't heard of Designer Brands before, it was a brand originally launched 10 years ago created to challenge the notion that affordable cosmetics were not as good quality as high-end brands. 10 years on and DB sells over 2 million products each year in over 4,000 pharmacies across Australia, cementing their place as a pioneer in the area of quality affordable make up. DB prides itself on the fact that all products are free of nasties such as parabens, talc and bismuth. On top of that, DB have also obtained Vegan and Cruelty Free Certifications across the entire make up range. Two of their newest releases are the Rise and Prime Illuminating Primer and the Hydrating Luminous Foundation. I have been using them ever since and just had to share my thoughts on both of these. A good base starts with a good primer. 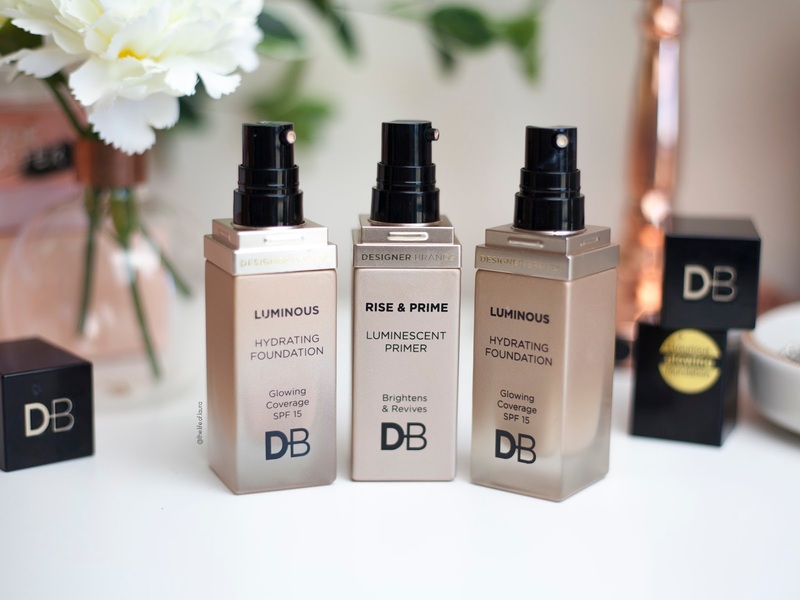 DB's new primer is designed to provide a smooth, glowing base, leaving your skin flawless and ready for foundation. This formula uses peach and gold light diffusing pigments to even out your skin tone and give a gorgeous 'lit from within' glow. Packed with skin loving ingredients like Green Tea, Aloe Vera and Vitamins A, C & E, the Rise & Prime Luminescent Primer evens the skin tone and encourages skin cell renewal. On top of all of that, it also hydrates and plumps the skin as well. I was immediately excited about this because the colour and texture is very similar to the Mecca Lit From Within primer, but less than half the price. It's a little bit thinner in texture, but I'd almost say that it is a perfect dupe for the Mecca one. I have been loving how well this sits on my skin, it is hydrating and illuminating, but not shimmery like many illuminating products I have used previously. I also like that because of the subtle pigments it evens out the skin tone ever so slightly, making it the perfect skin base. This has quickly become my favourite primer. If you have dry skin and are looking for a hydrating primer, or even if you have any skin type and are looking for a way to illuminate your skin, then I highly recommend this primer. Use it by itself for a 'no make up' look, or wear it under your favourite foundation. Costing just $19.99, it feels like a high end primer but for a fraction of the price tag. 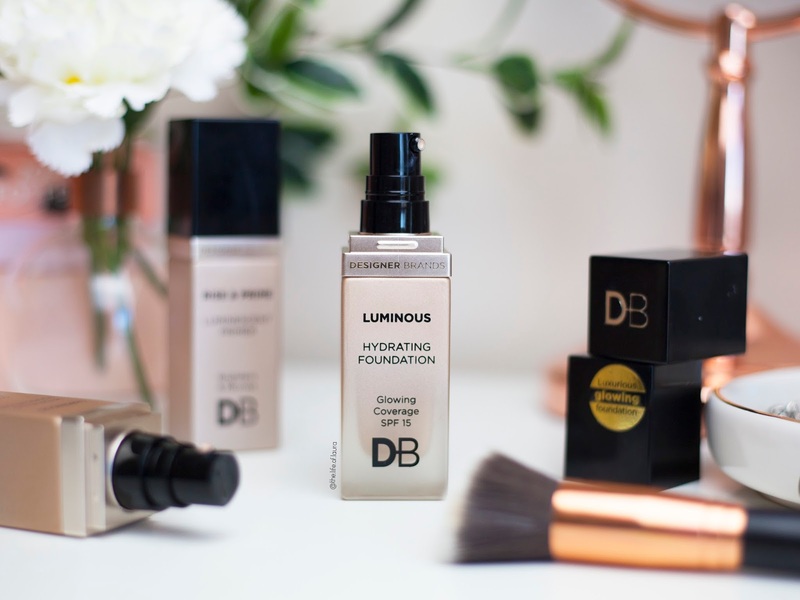 Designed to subtly illuminate your features, the DB Luminous Hydrating foundation is perfect for creating a naturally radiant and dewy complexion. It is a gel like formula, enriched with Hyaluronic Acid, Aloe Vera, Green Tea and Vitamins A, C and E. It claims to look like a second skin - hydrated and glowing, never cakey or flakey (YES! PRAISE THE LORD THIS IS WHAT I NEED). It also uses light reflecting pigments to help illuminate your natural features. I am yet to find a foundation that doesn't sit in my dry patches and highlight my dry, flaky forehead, so naturally I was excited to find a foundation that claimed to keep dry skin looking hydrated all day. It is quite a lightweight foundation that blends easily into the skin, but the coverage is amazing!! I'd say it a medium, but buildable foundation, however it has a really nice, natural and glowy finish. I love the finish, and that my skin looks even and covered, but not like I have layered lots of foundation on. It has a really nice glowy finish too, not oily like some glowy finishes are, but just a healthy, natural glow. I have been applying it with my fingers or a sponge, and then I might apply a little bit more in spots that need a bit more coverage. It blends well with a sponge, brush or your fingers. It is a really diverse foundation. The best bit for me is the lasting power. I won't lie, my skin (basically just my forehead) still does look a little bit dry at the end of the day, but now where near as bad as my other foundations. I just attribute that dryness to how cold and windy Canberra has been. This is, in all honesty (I promise this isn't sponsored or anything!) my favourite foundation right now and best of all, just like the primer, it is only $19.99. 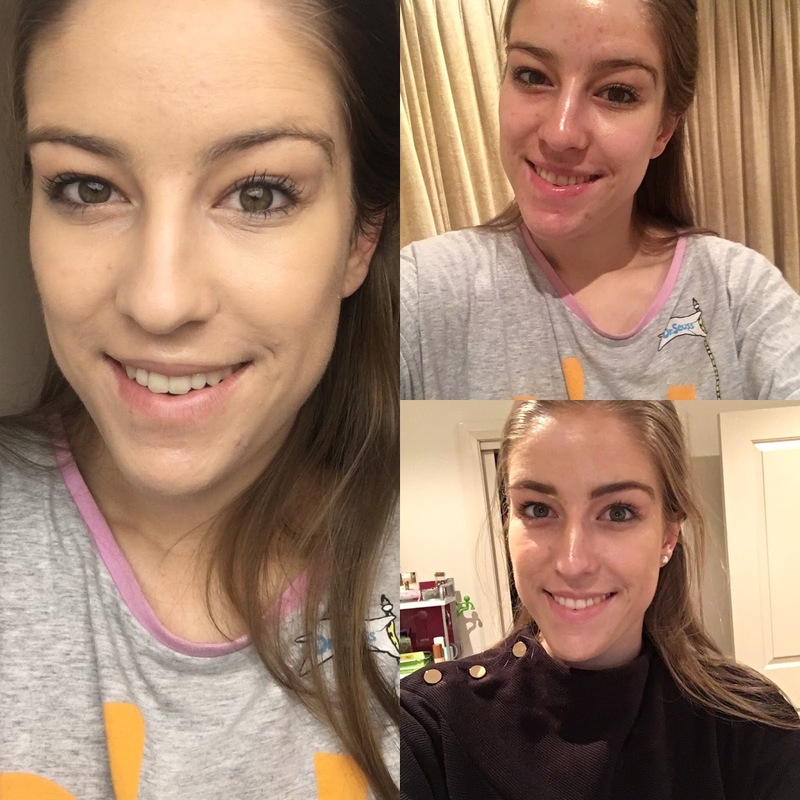 Mind the pyjamas, but here is an image of my skin before (top right), first application in the morning (left) and at the end of the day (bottom right). As you can see, the coverage is fantastic and has really evened out my skin tone. At the end of the day my skin does look 'shiny' in a sense, but for someone with dry skin, shinier skin is amazing. However, I would say that my skin doesn't look oily. You start to see the illuminating primer coming through to just give your skin that healthy glow. On one final note, I am also loving the packaging that looks (and feels) so high end. DB has definitely nailed it with their packaging. 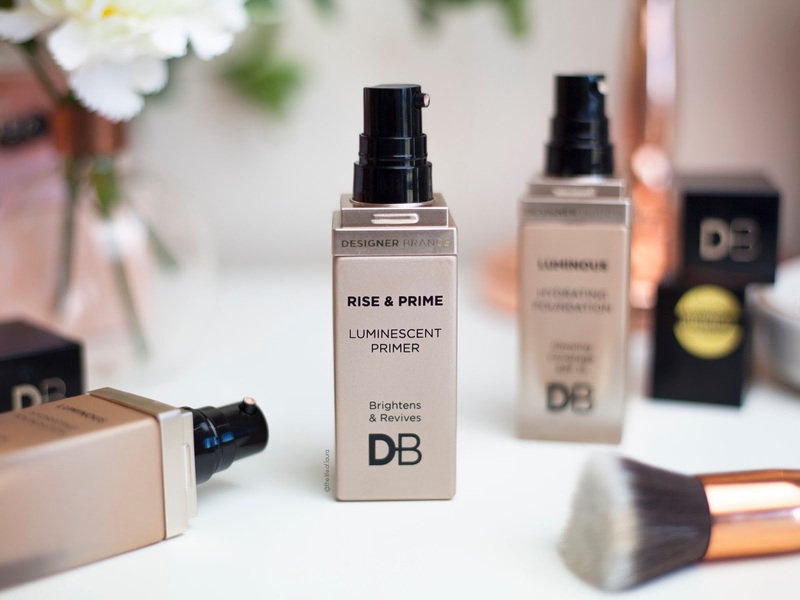 You can pick up the Rise and Prime Illuminating Primer and Hydrating Luminous Foundation online at the Designer Brands Website or in selected chemists around Australia.